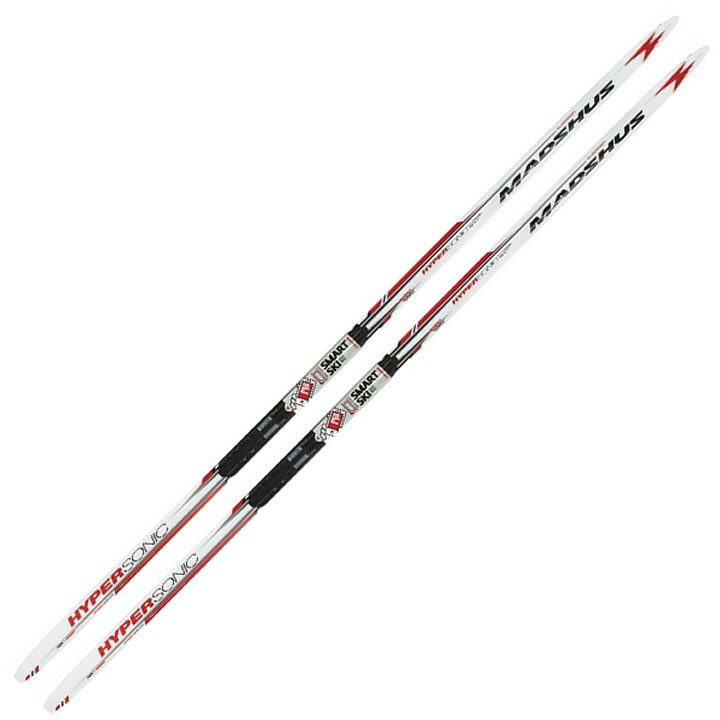 Sharing some characteristics with its Redline cousins, the Madshus Hypersonic Carbon Classic Skis deliver World Cup performance at a great value. It provides optimal glide in a variety of snow conditions with its universal camber profile, lightweight PR90 foam core, and slight splay in its Madshus Speed Tip and Tail. Skirack currently ships items to all 48 contiguous states, Alaska, and Hawaii, and Puerto Rico. We also ship to Military APO / FPO addresses. If your order meets or exceeds the amount advertised on the website, you qualify for free shipping. Choose the FREE delivery option (up to 10 business days) at checkout. This offer is valid for orders shipped to addresses in the 48 contiguous United States. The Free shipping option is not valid for orders shipped to Alaska, Hawaii, Puerto Rico, or anywhere else outside of the lower 48 states. Free shipping orders will be shipped by the most appropriate method based on their physical size and destination. Some items such as bicycles are not available to be shipped and are only available to be picked up in our Burlington, Vermont store. 2-Day Delivery to Alaska and Hawaii may take three days. Next-Day Delivery is available only in the continental US. Next-Day Delivery to Alaska and Hawaii may take an additional 1-2 days. We currently do not ship to International addresses. Approximate number of business days in transit for UPS Ground service originating from Burlington, VT.
Orders are shipped during normal business hours, Monday-Friday, excluding federal holidays within the United States. The shipping costs are calculated at checkout based on the total weight of the order and destination. and will automatically compute on the Shopping Cart page. Our store only displays items we have in stock, so back orders should not be an issue. If for some reason, you happen to order something that is not in stock, the item will be back ordered and you will be notified as soon as possible. Please email info@skirack.com or call Skirack at (802) 658-3313 or (800) 882-4530 if you have any questions.